In his new book, The Original Green, architect Steve Mouzon argues that in order to be sustainable, architecture must first be “lovable” – a point also being echoed by many members of the New Urban Guild and INTBAU. Mouzon’s basic contention is that if a building isn’t lovable, then it’s a likely candidate for premature demolition because no one will advocate for its preservation. And when a building is demolished, all of its embodied energy is lost. One frequently cited example is Boston City Hall. This Brutalist structure is admired by many architects and members of DOCOMOMO – but loathed by vast swaths of the public and by people who work in the building. Though relatively new (completed in 1969), there has been a strong movement – led by Boston Mayor Thomas Menino – for the city to sell and/or demolish this unloved structure. Only the poor economy has kept the plan from going forward. I’ll confess to having been put off initially by the term “lovable.” It sounded too soft and mushy and incapable of precise definition. “Lovable” is an undeniably positive word, but how would you put that into a design specification? Upon reflection, however, I realized that precisely because “lovable” is an emotional term, that is also the source of its power. The original grass-roots preservation movement of the 1960s and &apos;70s was driven not by preservation theory, but by the realization that visually rich (i.e., “lovable”) buildings were being torn down willy-nilly to be replaced by minimalist Modernist buildings that most deemed inhumane and soulless – and certainly not “lovable.” The momentum generated by this emotionally fueled grass-roots movement – motivated by the “lovability factor” – has led to the preservation of hundreds of thousands of buildings and the saving of an incalculable number of BTUs of embodied energy. So there’s truth to the proposition that a building should be “lovable” to ensure that it is truly sustainable and won’t come to an early grave in a landfill. But advocating for lovable architecture still begs the question: What makes architecture “lovable”? Is lovability – like beauty – totally in the eye of the beholder? Of course, those of us in traditional architecture argue that traditional design produces the most lovable buildings. Fortunately, there is some empirical data to support this claim. 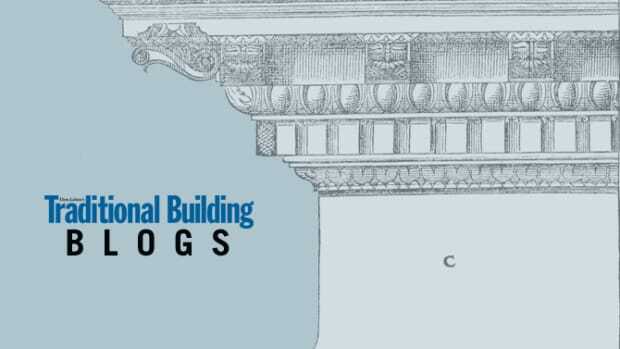 When the AIA (hardly a bastion of traditional design) did a survey of America’s most popular buildings, the majority of the ten most popular (i.e., “loved”) structures were based on traditional design. And the design theorist Christopher Alexander, who is certainly not a traditional architect, nonetheless in his seminal work, A Pattern Language, has shown that it is traditional vernacular forms that resonate most strongly with the human psyche. And now Steven Semes, in his brilliant new book, The Future of the Past, has painstakingly demonstrated the emotional power of traditional design to sustain “the spirit of the place” in the world’s most loved historic areas.